While The Walking Dead fans are still trying to figure out what happened to Glenn and whether or not Pacifist Morgan is going to survive in the violence-cloaked Alexandria community, the show’s creative team may have just cast the franchise’s most deadly villain and probable Season 7 menace right under our nose. The actor who may have gotten the part? 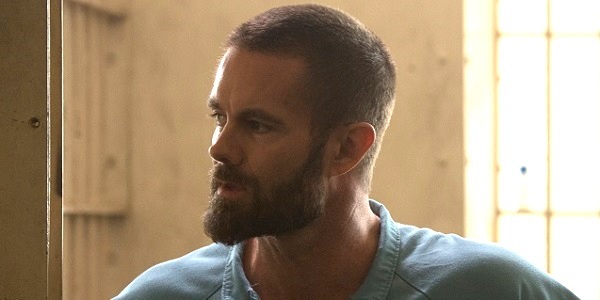 The always incredible Garret Dillahunt. Please be true! Please be true! Dillahunt is a hell of an actor, able to deliver expertly dramatic performances for shows like Deadwood and most recently in Hand of God, while also earning big laughs in straight comedies like Raising Hope and most recently The Mindy Project. This firmly grasped talent for flipping from intense to villainously amiable, used well in his Justified performance, would be a major win for The Walking Dead, as it’s precisely what’s needed for Negan’s assertive personality. Now, obviously this bit of potential casting news isn’t coming from AMC or any other official news outlet, and it isn’t even something Dillahunt is coming out and admitting. But there have been signs, people. Signs. The first was a casting notice some weeks back for a character that sounded just like Negan. And then the following Twitter moment happened. AMC responded by saying thanks and that they're big fans. That could certainly just be a random occurrence, even when taking into account this is the comic volume where Negan is introduced, but there’s more. Walking Dead cast-members Alanna Masterson and John Carroll Lynch started following him on Twitter, as well as showrunner Scott Gimple. Gimple currently only follows 301 people, so perhaps there’s something there. Then Dillahunt started following Gimple and the official Walking Dead Twitter account. How often did Sherlock Holmes look to Twitter for clues? Oh, there was also this. He’s got the emoji with the halo. That means he’s hiding something! Everybody who knows Negan knows about his barbed wire bat affectionately called Lucille, and all of the awful things that he did with the bat. He wouldn’t just bring up Suicide Squad unless he’s being coy. WHY SO COY, GARRET? The possibility of getting Dillahunt on The Walking Dead is too amazing a concept to just readily dismiss any of this as circumstantial, even knowing just how secretive AMC and Gimple are about what the show is doing. And there’s the chance that if Dillahunt joins that show that he wouldn’t even be playing Negan, but someone else like the melty-faced Dwight or someone else. I’m willing to settle for anyone. What do you guys think?